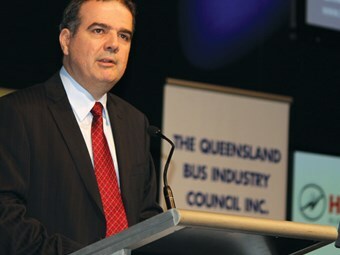 Queensland’s Director-General of Transport and Main Roads, Michael Caltabiano, has clarified the rationale and the new structure of the state’s transport functions. In line with these guiding principles, the department will transform from the five groups we have currently, to five divisions headed up by a Deputy Director-General. The new organisational structure is simple and logical and as you will see, the 'doing' functions will now work together in the one place to improve service delivery and reduce duplication and we will have an integrated multi-model approach in the new planning and investment area. One important addition to our department is that the statutory authority TransLink will be transitioning into TMR, providing a more efficient public transport system for the people of Queensland. This division will define, prioritise and shape key policies, planning and investments for an integrated transport system that supports the safe and efficient movement of people and goods across the state. 2. Customer Services, Safety and Regulation Division to be led by Deputy Director-General Graham Fraine. This division will provide an end-to-end and integrated process for the delivery of customer services, safety and regulatory services for the benefit of all Queenslanders. 3. Infrastructure Management and Deliver Division to be led by Deputy Director-General Paul Smith. This division will build, operate and maintain an effective and efficient transport infrastructure network that meets the requirements of the community, is cost effective and delivers value for money. 4. TransLink Division to be led by Deputy Director-General Neil Scales. TransLink will be responsible for the integration of all modes of public transport across Queensland the management of contracts for the delivery of these services. 5. Corporate and HR Division to be led by Deputy Director-General Nicole Bunning. The Corporate and HR Division will provide strategic corporate services support, including Human Resources, Finance, Procurement, IT and Governance to enable the department to operate efficiently and deliver on its priorities. The Board of Management is committed to this new operating model and will be communicating with you all in greater detail about your division and its supporting structure shortly. Each of the newly integrated five divisions will be made up of branches led by a General Manager. These General Managers, along with the Deputy Directors-General and me, will form the Senior Leadership Team. Branches will then be made up of a number of units, managed by a team of executive directors and directors. The branch, General Managers and executive directors' interim appointments will be announced by your Deputy Director-General. The Deputy Directors-General and General Managers will begin operating under the new focus and structure on Monday 6 August. As you can appreciate, it will then take several weeks for the detailed organisational design and remaining structure to be finalised and implemented. We will continue to communicate to you next steps and progress as we make headway. In closing, I acknowledge the reform and TMR's new vision and direction and supporting organisation structure is a significant change and has implications for the department and our people. I would like to thank everyone for their professionalism and continuing hard work to deliver excellence during what is a period of change.